Red Bull motorsport advisor Dr Helmut Marko has claimed that “nobody can keep up” with Honda’s rate of development. Red Bull will be racing with Honda power from 2019 and Marko has been very encouraged by not only their work with Toro Rosso this season, but the resources they have at their disposal, too. “With Toro Rosso, everything is working perfectly,” Marko told Austrian broadcaster Servus TV. “Next year Honda will make a much bigger effort. They have a development centre in Sakura which nobody can keep up with. “The Japanese have a different culture and a different way of working. You learn that over time. “Our approach with Honda is different than McLaren’s. They were telling them how they wanted the engine to be built, we just say, ‘build the fastest engine possible for us, then we will try to fit it into the chassis’. Marko also revealed that Red Bull got tired of waiting for Renault to deliver on their promises. He added: “They were always making predictions that we were going to be competitive the next year, but it never happened. “We have lost faith in Renault. 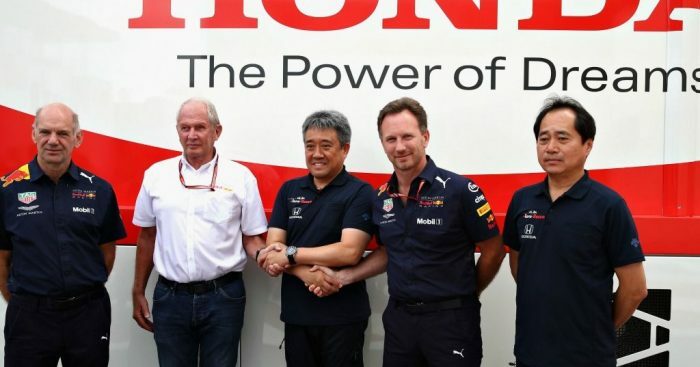 “Honda is a partner who is committed, has the financial and technical resources and we are the number one team for them.